Before :- R.V. Raveendran and J.M. Panchal, JJ. Criminal Appeal No. 343 of 2009 (Arising out of S.L.P. (Criminal) No. 4008 of 2008). D/d. 20.02.2009. For the Appellant :- Harish N. Salve and Sushil Kumar, Sr. Advocates with Anku Chawla, Abhishek Singh, Rahul Pratap and Siddhartha Chowdhury, Advocates. For the Respondent :- Dr. Abhishek Manu Singhvi, Sr. Advocate with Sanjeev Sachdeva, Saurabh Sharma and Amit Bhandari, Advocates. and assails the order dated March 24, 2008, rendered by the learned Single Judge of High Court of Madhya Pradesh, Bench at Indore, in Criminal Revision No. 1362 of 2006 by which bail granted to the appellant by the learned Judicial Magistrate First Class, Indore, M.P. on December 1, 2006 is cancelled on the ground that the order granting bail was passed by the learned Judicial Magistrate First Class, Indore, without hearing the original complainant and was, therefore, bad for violation of principles of natural justice. 3. It is the case of the respondent that the appellant gave an interview on December 15, 2004 on Star News TV Channel and defamed him. The respondent, therefore, filed a Criminal Complaint No. 1604 of 2005 in the court of learned Judicial Magistrate First Class, Indore, M.P. on January 27, 2005 for alleged commission of offences punishable under Sections 499 and 500 of the Indian Penal Code. The learned Judicial Magistrate examined the respondent on oath as required by Section 200 of the Code of Criminal Procedure, 1973 and issued summons to the appellant for commission of alleged offences under Sections 499 and 500 of the Indian Penal Code vide order dated May 9, 2006. The appellant appeared before the court on November 20, 2006 and submitted an application under Section 317 of the Code of Criminal Procedure, 1973 seeking exemption for personal appearance along with vakalatnama of his counsel. In the said application prayer for grant of bail was also made. The application was fixed for hearing on December 26, 2006. 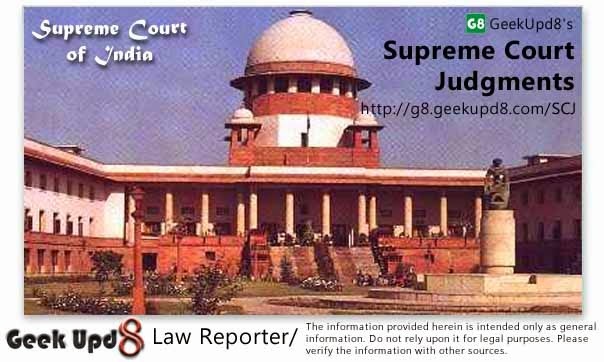 However, on December 1, 2006 the appellant filed an application mentioning his appearance before the court and to consider his prayer for grant of bail under Section 436 of the Code of Criminal Procedure, 1973 as offences alleged to have been committed by him under Sections 499 and 500 of the Indian Penal Code are bailable. The application was heard on the day on which it was filed. The learned Magistrate noticed that the offences alleged to have been committed by the appellant were bailable. Therefore, the appellant was admitted to bail on his furnishing a surety in the sum of Rs. 5,000/- and also furnishing a bond of the same amount. While enlarging the appellant on bail the learned Magistrate imposed a condition on the appellant that he would appear before the court on each date of hearing or else he would be taken into custody and sent to jail. The order dated December 1, 2006 passed by the learned Judicial Magistrate further indicates that in compliance of the direction issued by the court the appellant furnished a bail bond in the sum of Rs. 5,000/- and also executed a bond for the said amount and that the bail bonds were accepted by the court after which the appellant was released on bail. 4. The respondent, who is original complainant, filed Criminal Revision No. 1362 of 2006 in the High Court of Madhya Pradesh, Bench at Indore, on December 26, 2006 for cancelling the bail granted to the appellant by the learned Judicial Magistrate First Class, Indore, on the ground that he was not heard and, therefore, the order was violative of principles of natural justice. The learned Single Judge, before whom the revision application was notified for hearing, had issued notice to the appellant but the appellant did not remain present before the High Court. The revision application filed by the respondent was taken up for final disposal on March 24, 2008. The learned Single Judge, by order dated March 24, 2008, has cancelled the bail granted to the appellant by the learned Judicial Magistrate on the ground that the respondent, who was original complainant, was not heard and, therefore, the order granting bail violates the principles of natural justice. After cancelling the bail granted to the appellant the learned Single Judge remitted the matter to the court below with a direction that the matter be taken up according to law between the parties relating to the grant of bail to the appellant. Feeling aggrieved the appellant has invoked appellate jurisdiction of this Court under Article 136 of the Constitution. 5. This Court has heard the learned counsel for the parties and taken into consideration the documents forming part of the appeal. Explanation. - Where a person is unable to give bail within a week of the date of his arrest, it shall be a sufficient ground for the officer or the Court to presume that he is an indigent person for the purposes of this proviso. (2) Notwithstanding anything contained in sub-section (1), where a person has failed to comply with the conditions of the bail-bond as regards the time and place of attendance, the Court may refuse to release him on bail, when on a subsequent occasion in the same case he appears before the Court or is brought in custody and any such refusal shall be without prejudice to the powers of the Court to call upon any person bound by such bond to pay the penalty thereof under section 446." There is no doubt that under Section 436 of the Code of Criminal Procedure a person accused of a bailable offence is entitled to be released on bail pending his trial. As soon as it appears that the accused person is prepared to give bail, the police officer or the court before whom he offers to give bail, is bound to release him on such terms as to bail as may appear to the officer or the court to be reasonable. It would even be open to the officer or the court to discharge such person on his executing a bond as provided in the Section instead of taking bail from him. The position of persons accused of non-bailable offence is entirely different. The right to claim bail granted by Section 436 of the Code in a bailable offence is an absolute and indefeasible right. In bailable offences there is no question of discretion in granting bail as the words of Section 436 are imperative. The only choice available to the officer or the court is as between taking a simple recognizance of the accused and demanding security with surety. The persons contemplated by Section 436 cannot be taken into custody unless they are unable or willing to offer bail or to execute personal bonds. There is no manner of doubt that bail in a bailable offence can be claimed by accused as of right and the officer or the court, as the case may be, is bound to release the accused on bail if he is willing to abide by reasonable conditions which may be imposed on him. 7. There is no express provision in the Code prohibiting the court from re- arresting an accused released on bail under Section 436 of the Code. However, the settled judicial trend is that the High Court can cancel the bail bond while exercising inherent powers under Section 482 of the Code. According to this Court a person accused of a bailable offence is entitled to be released on bail pending his trial, but he forfeits his right to be released on bail if his conduct subsequent to his release is found to be prejudicial to a fair trial. And this forfeiture can be made effective by invoking the inherent powers of the High Court under Section 482 of the Code. [See :Talab Haji Hussain v. Madhukar Purushottam Mondkar and another (1958 SCR 1226)] reiterated by a Constitution Bench in Ratilal Bhanji Mithani v. Asstt. Collector of Customs and Anr., (1967(3) SCR 926)]. 8. It may be noticed that sub-section (2) of Section 436 of the 1973 Code empowers any court to refuse bail without prejudice to action under Section 446 where a person fails to comply with the conditions of bail bond giving effect to the view expressed by this Court in the above mentioned case. However, it is well settled that bail granted to an accused with reference to bailable offence can be cancelled only if the accused (1) misuses his liberty by indulging in similar criminal activity, (2) interferes with the course of investigation, (3) attempts to tamper with evidence of witnesses, (4) threatens witnesses or indulges in similar activities which would hamper smooth investigation, (5) attempts to flee to another country, (6) attempts to make himself scarce by going underground or becoming unavailable to the investigating agency, (7) attempts to place himself beyond the reach of his surety, etc. These grounds are illustrative and not exhaustive. However, a bail granted to a person accused of bailable offence cannot be cancelled on the ground that the complainant was not heard. As mandated by Section 436 of the Code what is to be ascertained by the officer or the court is whether the offence alleged to have been committed is a bailable offence and whether he is ready to give bail as may be directed by the officer or the court. When a police officer releases a person accused of a bailable offence, he is not required to hear the complainant at all. Similarly, a court while exercising powers under Section 436 of the Code is not bound to issue notice to the complainant and hear him. 9. The contention raised by the learned counsel for the respondent on the basis of decision of this Court in Arun Kumar v. State of Bihar and another [JT 2008(2) SC 584], that the complainant should have been heard by the Magistrate before granting bail to the appellant, cannot be accepted. In the decision relied upon by the learned counsel for the respondent challenge was to the order passed by a learned Single Judge of the Patna High Court quashing the order passed by the learned Fast Track Court holding that the respondent No. 2 therein was not juvenile and, therefore, there was no need to refer his case to the Juvenile Justice Board for ascertaining his age and then for trial. The High Court was of the view that the prayer was rejected only on the ground that two or three witnesses were examined and though the accused was in possession of school leaving certificate, mark sheet, etc. to show that he was a juvenile, the prayer could not have been rejected. This Court found that the High Court in a very cryptic manner had observed that the application of the accused deserved to be allowed and directed the court below to consider the accused as a juvenile and proceed accordingly. Before this Court it was submitted by the learned counsel for the informant that the documents produced had been analysed by the trial court and it was found at the time of framing charge that he was major without any doubt. The grievance was made on behalf of the informant before this Court that the High Court did not even consider as to how the conclusions of the trial court suffered from any infirmity and merely referring to the stand of the accused and even without analyzing the correctness or otherwise of the observations and conclusions made by the trial court the learned Single Judge came to the conclusion that the accused was a juvenile. This Court concluded that the High Court had failed to notice several relevant factors and no discussion was made as to how the conclusions of the trial court suffered from any infirmity. It was also noticed by this Court that no notice was issued to the appellant before the matter was disposed of. In view of the above position the order impugned in the appeal was set aside by this Court. To say the least, the facts of the present case are quite different from those mentioned in the above reported decision. Therefore the ratio laid down in the said decision cannot be applied to the fact of the instant case. 10. Even if notice had been issued to the respondent before granting bail to the appellant, the respondent could not have pointed out to the court that the appellant had allegedly committed non-bailable offences. As observed earlier, what has to be ascertained by the officer or the court is as to whether the person accused is alleged to have committed bailable offences and if the same is found to be in affirmative, the officer or the court has no other alternative but to release such person on bail if he is ready and willing to abide by reasonable conditions, which may be imposed on him. Having regard to the facts of the case this Court is of the firm opinion that the bail granted to the appellant for alleged commission of bailable offence could not have been cancelled by the High Court on the ground that the complainant was not heard and, thus, principles of natural justice were violated. Principles of natural justice is not a 'mantra' to be applied in vacuum in all cases. The question as to what extent, the principles of natural justice are required to be complied with, will depend upon the facts of the case. They are not required to be complied with when it will lead to an empty formality (See State Bank of Patiala v. S.K. Sharma, 1996(2) SCT 568 : (1996(3) SCC 364) and Karnataka State Road Transport Corporation v. S.G. Kotturappa, 2005(2) SCT 240 : (2005(3) SCC 409). The impugned order is, therefore, liable to be set aside. 11. For the foregoing reasons the appeal succeeds. The order dated March 24, 2008, passed by the learned Single Judge of High Court of Madhya Pradesh, Bench at Indore, in Criminal Revision No. 1362 of 2006 cancelling the bail granted to the appellant by the learned Judicial Magistrate is hereby set aside and order dated December 1, 2006, passed by the learned Judicial Magistrate First Class, Indore, M.P., in Criminal Complaint No. 1604 of 2005 is hereby restored. 12. The appeal accordingly stands disposed of.